Edward Moon was coerced to sign a confession of homicide at seventeen years of age, legally binding and convicting the innocent young man. Moonrise is a poignant and provoking narrative of seventeen year old Joseph Moon and his brother who is scheduled to be executed in Kirkland Texas. As children, Edward, Angela and Joseph were often neglected, their mother a verbally abusive alcoholic. Parental responsibilities are entrusted to Karen, their mother's single, Christian sister. At seventeen years of age, Edward escaped the confines of their regimented home only to be incarcerated for the death of a police officer. Edward's execution has been scheduled and despite Karen's disapproval, Joseph begins his journey to farewell his brother. The narrative is incredibly distressing as the responsibility is placed upon Joseph, temporarily living within the decrepit Kirkland motel, abandoned by Karen and Angela. Capital punishment is a contentious discussion, sanctioned throughout the United States although abolished in Australia. Intense and confronting, the nonlinear narrative explores the familial relationship between siblings. Edward has been imprisoned for ten years and estranged from his siblings and with their mother absent, Karen has denied Angela and Joseph access to their brother. Sarah Crossan is a monumental storyteller and with so few words is, able to captivate and immerse readers. Tragically, poignantly beautiful. 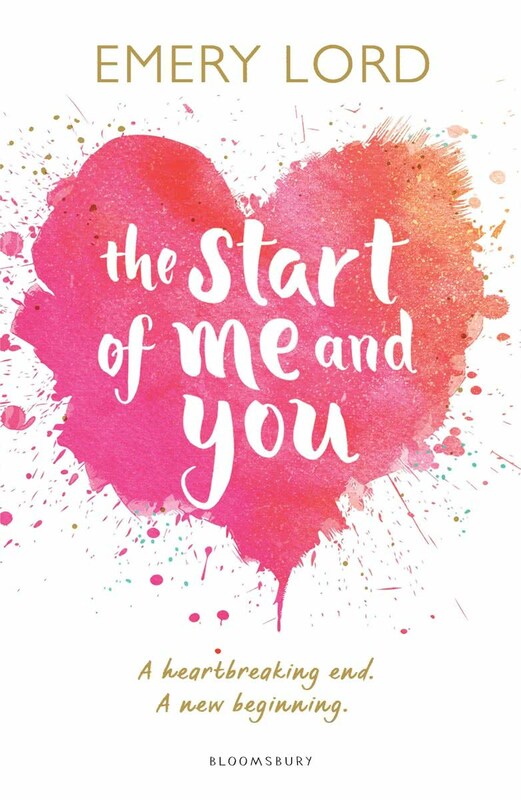 Brimming with heartfelt relationships and authentic high school dynamics The Start of Me and You proves that it's never too late for second chances. It's been a year since it happened, when Paige Hancock's first boyfriend died in an accident. After shutting out the world for two years, Paige is finally ready for a second chance at high school and she has a plan. First, get her old crush, Ryan Chase, to date her, the perfect way to convince everyone she's back to normal. Next, join a club simple, it's high school after all. But when Ryan's sweet, nerdy cousin, Max, moves to town and recruits Paige for the Quiz Bowl team, her perfect plan is thrown for a serious loop. Will Paige be able to face her fears and finally open herself up to the life she was meant to live? In the small town of Oakhurst Indiana, Paige Hancock is defined by her relationship with Aaron Rosenthal and the memory of the young, vibrant man. Paige is an intelligent young woman and aspiring screen writer, encouraged by her family and friends to create new memories once more. Paige's sorrow was portrayed wonderfully and meticulously with compassion as she bravely begins to immerse herself in new experiences, reprising her infatuation with athlete Ryan Chase and participating in extracurricular activities. Captain of the interschool quiz challenge and science fiction aficionado, Max Watson is a compassionate and endearing young man, his tentative friendship with Paige, captivating. Although suggesting a whirlwind romance, the essence of The Start of Me and You is friendship. Paige has a remarkable company of friends, creating a wonderful dynamic between characters. I also appreciated the inclusion of the Hancock family, a reoccurring theme in Emery Lord novels while so many young adult authors neglect parental influence. Emery Lord is a prolific contemporary young adult author, creating charismatic characters with compassion and endearment. Lovely reviews! I'm most curious about Moonrise. The whole death penalty debate is very contentious in the U.S. since people have such varying views. This sounds like a really emotional read, and I love those! It is Lauren. Being told in verse was incredibly powerful and added to the narration, I would love to see what you think of it. Me too! I've noticed I've been reading more contemporary young adult than ever this year and it's becoming my favourite genre. After the heaviness of Moonrise, The Start of Me and You was just what I needed. 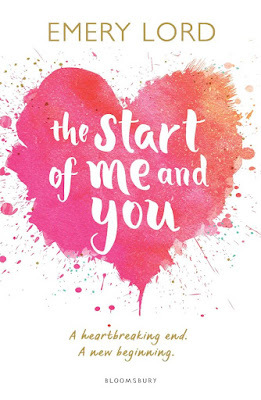 You are making me want to dive right into my copy of The Start of Me and You. I got feels reading your review. Moonrise is getting lots of good buzz. I really hope to read this one soon. Really looking forward to seeing what you think of it Sam. It's so utterly delightful. Awesome reviews Kelly! Moonrise sounds incredibly sad though. For some reason I've only heard about the book now, and I don't know why. Hmm. I hadn't heard anything about it either before coming across it on Netgalley, so glad I requested. It's incredibly poignant but such an important discussion. 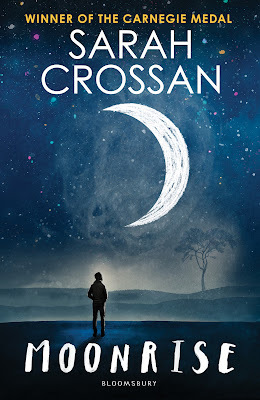 I reviewed Moonrise for CBCA and am posting my review on my blog tomorrow #timing lol Moonrise was a powerful story, but the format (verse) was one I didn't quite get into. There's so much power and so much left unsaid in the story of their family, I couldn't help but want more. And less of other parts. I typically really enjoy verse narratives but can see why readers would find it jarring. I could have done without the romance but really enjoyed the brotherly relationship. I needed more too. I was such a mess. Both of these sounds really good and intense but in different ways. Both wonderful reads Karen. Moonrise is incredibly poignant so really enjoyed the lightness of The Start of Me and You. Dang! Moonlight gave me a feeling that I will cry if I read it. It sounds really emotional. It's beautiful though Vanessa,I would love to see what you think of it. I want to read Moonrise too. Hope it has a happy ending. It's an incredible yet poignant read Lily, definitely one that will stay with you long after the final page. I don't think I'd make it through Moonrise because of the fact it's in verse but damn it sounds like a good read. It's one which might me to give it a shot because the fact it involves someone on death row and the fact it seems like a powerful read are pretty convincing. And The Start of Me and You is on my shelf waiting to be read and you're reminding me of this fact. I've enjoyed Emery Lord's books so far so I think this will be one I'll be picking up soon. The verse varies from short, crisp sentences but also merges into long paragraphs. I enjoy verse so I barely notice the formatting now. It's incredibly powerful though and well worth taking a chance. I think it might be still available on Netgalley. I love Emery Lord. I can always rely on her to brighten my shelves with heartwarming reads. Definitely keep those tissues handy, it's a very intense read Ailyn. Would love to see what you think of it. I really enjoy verse narratives but it took a while for me to really enjoy them as well. It can be a little jarring at first. I think this one is her best release to date, incredibly emotional. Both sound good, but I really want to read Emery's book. She's an incredible author, I love her heartwarming contemporaries. I don't think I've read Sarah Crossan, but The Start of Me & You sounds adorable. And Moonrise sounds good too! Though I think I'd feel too badly for Ed. There's a special place in hell for law enforcement that coerce confessions. Smh. The death penalty is such a foreign concept in Australia after being abolished, it's such a magnificent read Sarah. I love verse narratives, so powerful. They both sound good and I actually hadn't heard of either of them. I am most curious of Moonrise, I love verse novels and will have to track down a copy :-). Me too Sarah, so few words for such a powerful and confrontational impact on readers. You'll love this one.